Presentation: 10mg tablets are brown round with FK wording imprint on one side. 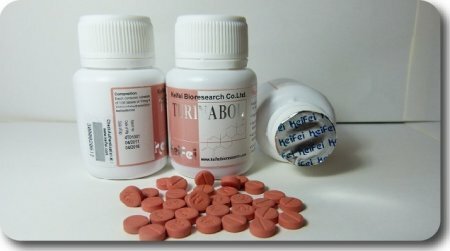 Turinabol is an oral Steriods developed during the early 60s. It has a predominantly anabolic effect which combined with a relatively low androgenic component. On a Scale of 1 to 100 androgenic effect is low. Only a 6 and the effect is 53.
achievable results manifest themselves in a solid muscle gain and if taken over several weeks, also good in strength gain. Users will not get a puffy looks compare to using other high androgenic steroids. It build a solid mass, water retention is very low and Gyno effect is very rare. Make a good reasons for Power and weight lifter to use it. It also suitable for both man and woman competitors.